LOST Video Island - "Gaston Sawyer"
June 2006 contest 1st place winner! Bel needs to get an Imeem a account so we can watch the vid again. AAAA NO LONGER AVAILABLE???? NOOOO???? New download link please? I love this! This is the first vid to get me hooked on YouTube - great job! Wow. It's no wonder this one got first. Congrats! woot. 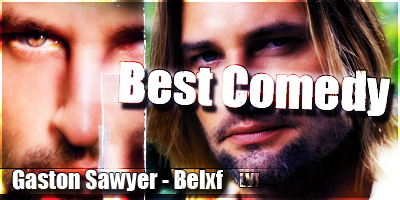 Best aprt has to be "And every last inch of me's covered with hair" thankfully sawyer isn't but that pose WOW swoon. Loved the girls in this vid lol.